Today I am posting a project made with a Pink Cat Studio digi. I love the stamps made by Melissa at Pink Cat Studio. Pink Cat Studio will be releasing their St. Patrick's Day stamps on March 10th. Check them out at Pink Cat Studio. 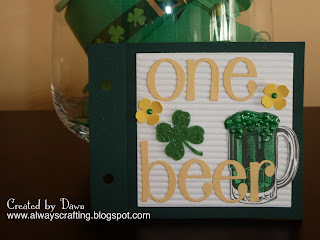 I wanted to start with a St. Patrick's day project since we are so close to this upcoming holiday and I am Irish among other things :). 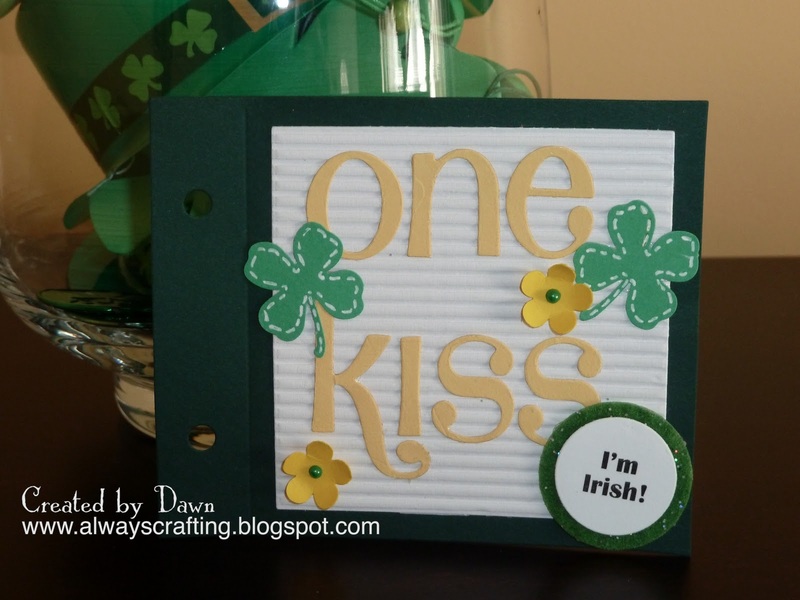 Loving some shamrocks! The Pink Cat Studio stamp is Itty Bitty Betty - Rainbow. I created this coupon book for my husband. It has several pages in it for free items just for him. Here are two of the pages from inside the book. I took them out of the book to photograph them. 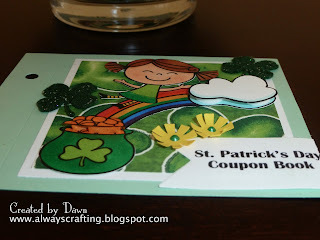 The die cut used to create this coupon book are an old Sizzix album cover die and page die. There had to be a few pages saying a one kiss. Very cute Dawn! I am from the Paper Playtime DT. I just became a follower on your blog. Looking forward to designing with you! I am looking forward to designing with you as well! So cute Dawn!! Did you use digi stamps for the cover? Phyllis, yes I did use a Pink Cat Studio digi stamp on the cover. Try them you will like them! 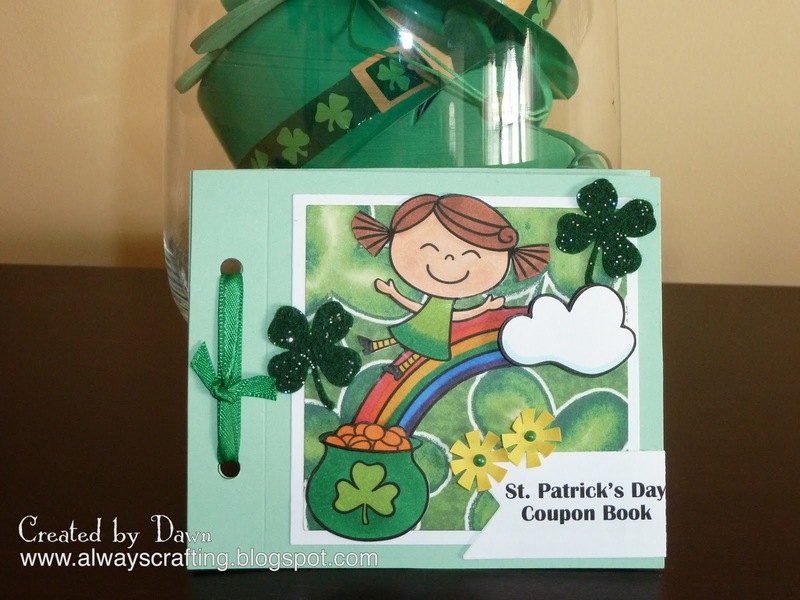 I love your coupon book Dawn!! Thank you Mellissa! That means a lot to me! Very pretty! Welcome to the team! This is just the cutest and most clever project! I totally love it! So cute! Thanks so much for joining our Really Reasonable Ribbon challenge. 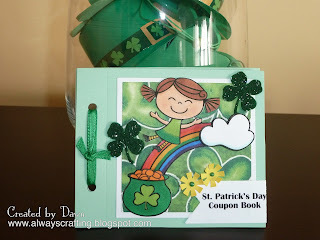 Such a cute image and a very cute idea! Thanks for playing the DTC this week!